The kids are really excited to give Daddy the cards they made him for Valentine's Day. 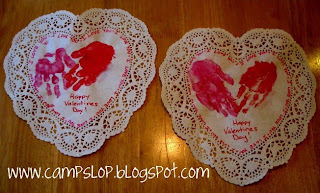 We used heart shaped doilies from the Dollar Store and painted their hands to make handprint hearts. Next time I'll mount these to cardstock to make them sturdier. I'm sure Daddy will love them! These are adorable! Something about kid's handprints that just make you go "Awwww..." and smile! Hope he liked them! Very sweet. Definitely need to capture some handprints like this soon! 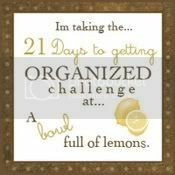 Thanks for linking to the Kids Can Craft Party!